On 8/31/18 a large storm hit our farm in southern Pennsylvania. The flooding from this storm caused lots of damage to many animal enclosures. The animals affected by the flooding include capybaras, kangaroos, wallabies, Nigerian dwarf goats, Jacob sheep, llamas, alpacas, kunekune pigs, and ponys. 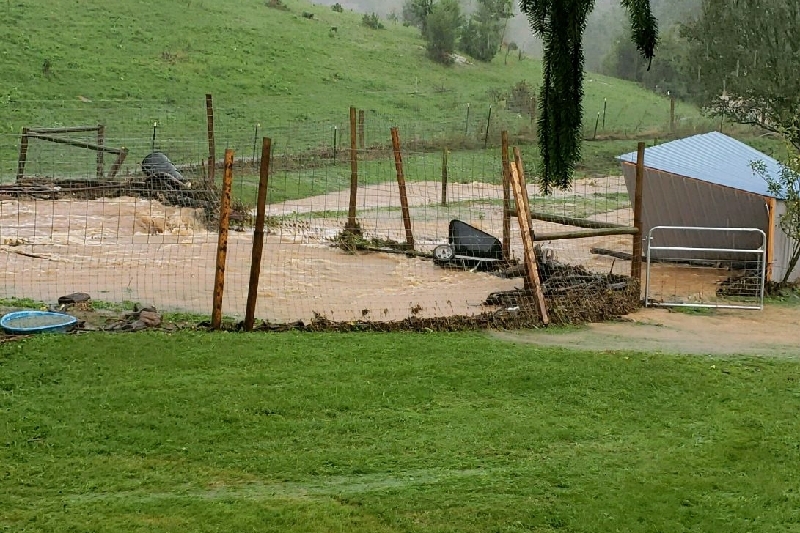 The extent of the damage is severe and thousands of feet of fencing along with the fence posts have been destroyed and have gone missing being washed away with the flood. The shelters for the animals have also suffer and many will need to be repaired and replaced. The animals have been moved to dry temporary enclosures until their enclosures can be repaired. Not only has the fencing and shelters been damaged but the flood has left behind lots of logs, rocks and garbage that is not safe for the animals and will take a lot of work to clean up. It has been a week since the passing of my best friend JoeJoe the Capybara and this flooding has not helped at all. Anything you can donate will help with repairing and redesigning the enclosures. Thank you!